Welcome to YellowHands Home Page! I hope that you find things useful and interesting while visting my site. and experiences that I have accumulated here to share with you. 'walk softly upon the earth'. My friends and relatives after along needed break from the internet I have returned to continue the good works that I/We had begun many years ago. 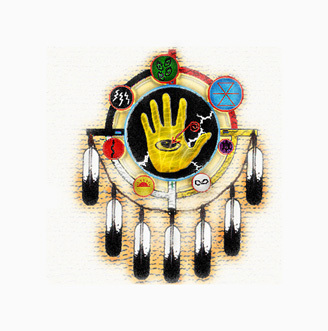 The "Yellow Hoop" is still alive and well and working everyday to help Lakota and other Native American peoples. e-mail was stuck on stupid! Hey folks the yahoo e-mail got stuck on stupid! I got it fixed so you will be able to contact me now. Sorry for the wait. Just click on the link below to e-mail me. This site has been followed times.